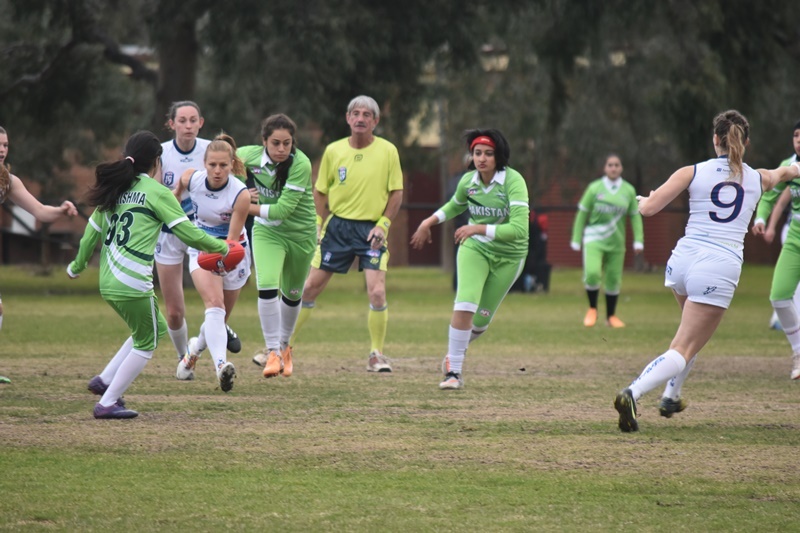 On what can be described as a nippy Melbourne morning, the opening round of the Women’s competition of the 2017 International Cup kicked off with the Pakistan Shaheens taking on one of tournament favourites in the Great Britain Swans. 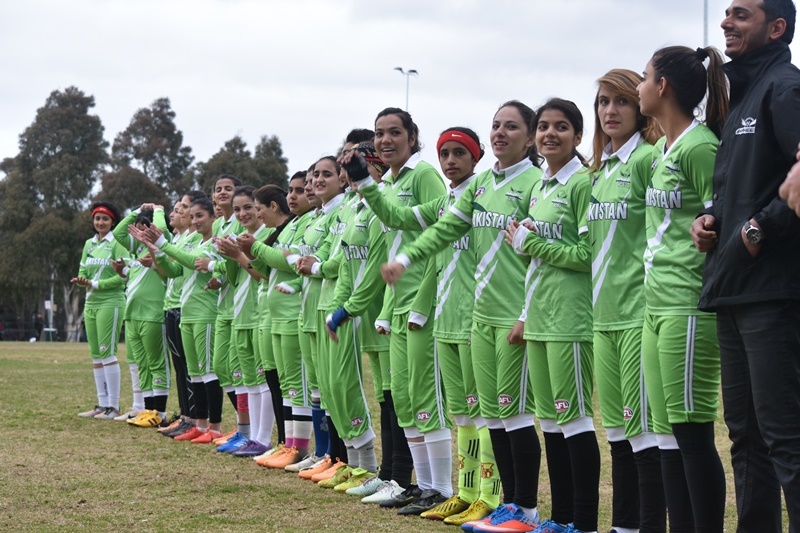 It is quite a remarkable feat for some of the Pakistani players to even be partaking in the tournament itself, as some players had to take out loans to be able to afford to make the journey to Melbourne. The match began in a willing fashion, with Great Britain asserting dominance early, establishing their run and carry game and taking it to Pakistan. 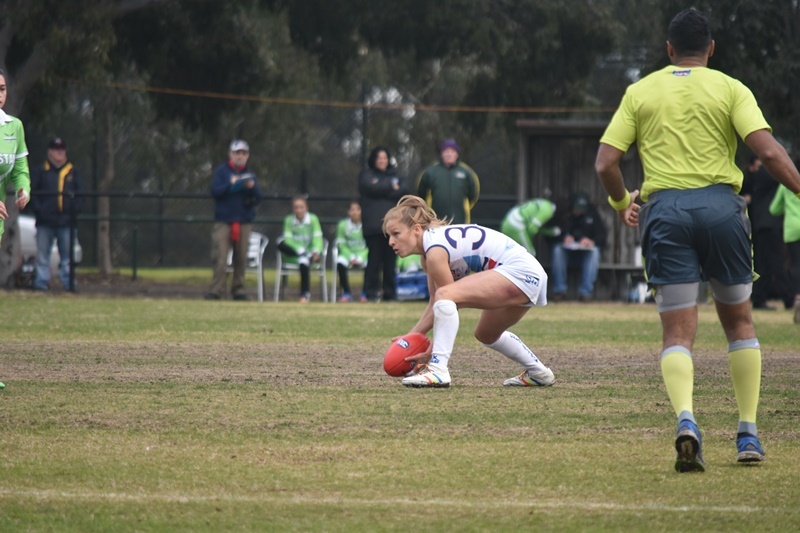 The ascendancy was also significant in the stoppages as Alannah Blount was giving the Swans first use of the ball and the clearances were well in favour of the Swans as they took a 30 point lead into the quarter time break. 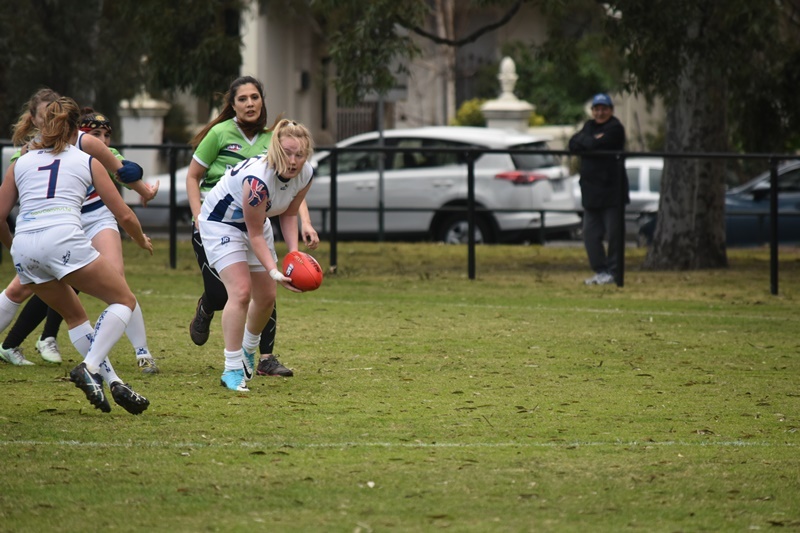 The second quarter started in the same mould as the first with the bigger Swans dominating the play with their running in numbers along with their clean and efficient disposal. 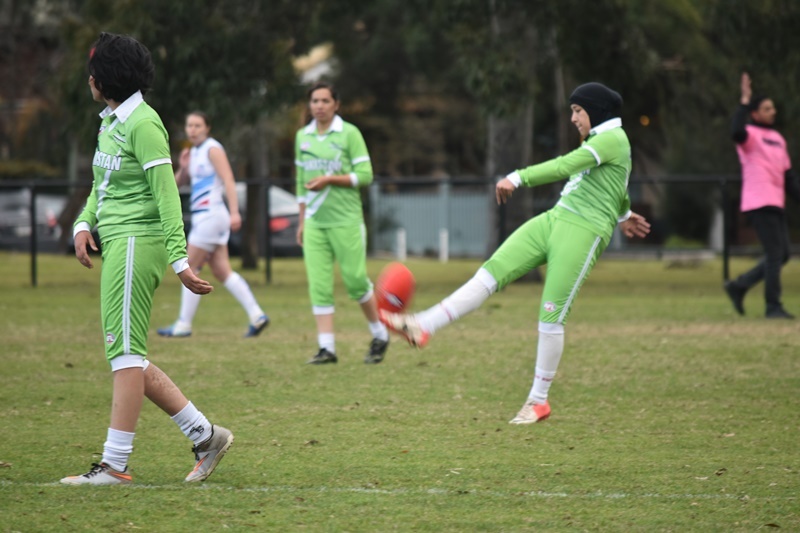 The Pakistani defence was looking shaky and their turnovers inside their defensive 50 were also a worry, attributing to 4 of their 9 goals conceded in the second quarter. 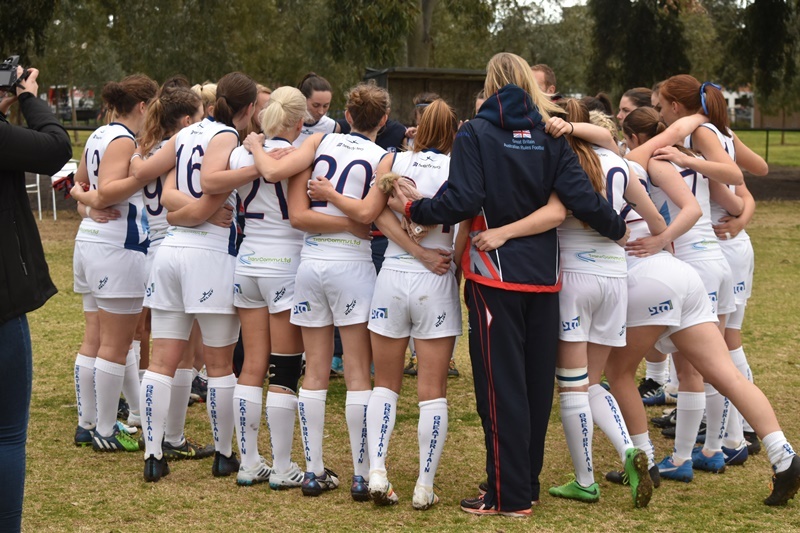 The Swans entered half time with a 90 point lead with a significant amount of momentum behind them. With the beginning of the third quarter, the Shaheens had a steely and determined look about them, as they came out with a renewed sense of intensity. 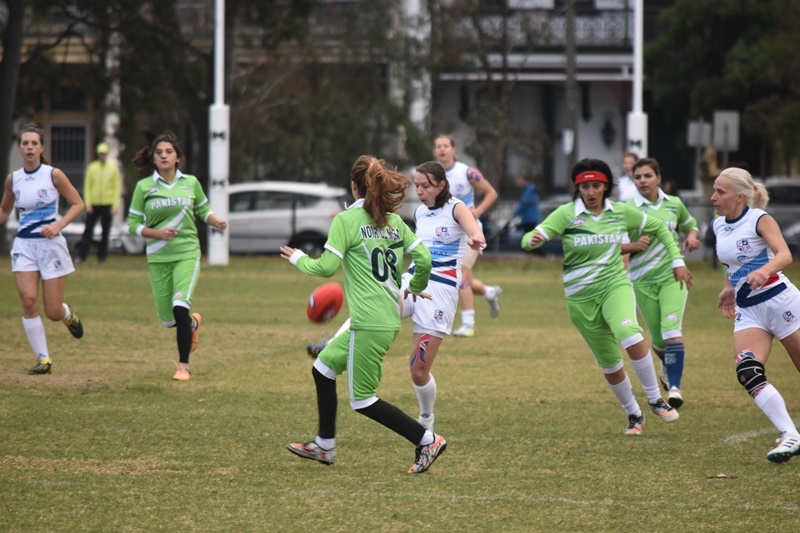 Although not troubling the scorers, their defensive efforts were the best they showed for the match, only conceding a total of 20 points for the quarter. 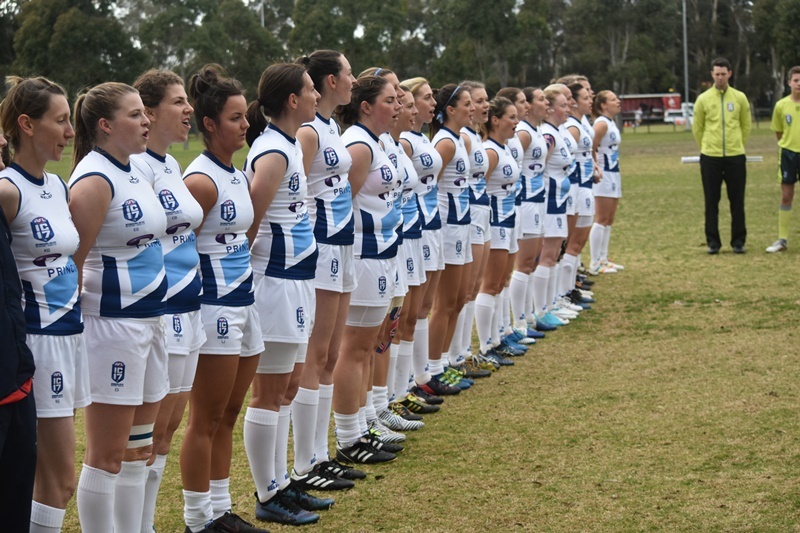 In a show of good sportsmanship, as a Great British player was being seen to by the trainers, the Swans girls tried their hardest to not only encourage, but offer words of advice and a few pointers to their opponents, many of whom had never played a formal match before. In the huddle at the 3rd break, the Swans coach, Garth Nevin, implored his team to finish strong and to not “let the foot off the gas”, and they did not disappoint as they ran out 142-point victors. The Swans ended the match as they had begun, clear centre breaks, good run and carry and the most important part, the application of scoreboard pressure coming mainly from Stacey Hughes and Rania Ramadan. The Swans talls provided the somewhat smaller Shaheens with all sorts of problems throughout the match, and it showed in their aerial dominance and bullocking physical play. GB: Stacey Hughes , Rania Ramadan 4 Danni Saulter 3 Frankie Hocking 2 Alex Saulter, Laura Turner, Louise Darby, Caroline Sellar, Charlotte – Ellen Eales, Jessica Milford, Rachel Hunt 1.